The external world is the mirror of the internal substratum that supports all temporal appearances. Everything that occurs in temporal apparent realms is a reflection of the substratum that exists within-beneath. The linear expression of these would be, "As above, so below." However we do not exist in a linear world, rather our existence is nonlinear, with time being experiential and meaning layered according to states of consciousness. The Progenitors who colonized our planet Earth would have been masters of metaphysics, which would never have been separate from their inter-dimensional sciences. All the mantras in the Third Mandala of the Rig Veda are associated with the Rishi Vishvâmitra or his father and or his sons [RLK]. Vishvâmitra composed the 12th Mantra, which in verse 6 contains an intriguing description of ninety cities being destroyed simultaneously by one deed of Indra and Agni. The Sanskrit combines the words into Indrâgnî as if they are one entity. While I am certain that Indra is a cosmic force and also an individual person, Agni appears to be a cosmic force only. The combination as one word implies a combined force. I am suggesting that Indrâgnî refers to an extreme type of thermoacoustic laser — a laser exponentially amplified by heat and sound that was used as a weapon to simultaneously disintegrate the 90 cities. It is the combined power of Indra and Agni that produce this weapon — and therefore the name Indrâgnî. There are various weapons described in the epic Mahabharata, some that have the power to kill hundreds at once. The Rig Veda really is all about the ultimate POWER, Cosmic Power, Shakti-Mâyâ Power — the power that pervades the universe as Soma (plasma), Indra (the force of kinetic energy that ignites, kindles), Agni (fire, thermonuclear & electric), Surya (radiation, not the Sun), and Rudra (primal sound) — because metaphysics is the underlying substructure of any true science of physics. The root etymology of the Sanskrit word Indra is ‘kindling’ & ‘lighting’; an evolute of Indha, from √Indh ‘to kindle’. Indra also has the meaning one who tears this (idam) from this (idam), and √dr(i) ‘to tear’. This one who tears the seam (Sîmântam) of the universe (i.e. the horizon); Indra came out of the womb by tearing it; Indra who divides or tears; Indra who runs or rushes forth for Soma. Soma [plasma] is intimately connected with Indra. Indra drinks lakes of Soma, and Soma is often said to flow for Indra’s sake. Soma is Indra’s soul [RV IX.85.3] and even his generator [IX.96.5]. "By one deed, Indra and Agni shook down together, the ninety cities possessed by the destroyers." puro = townships or strong holds. dâsapatnîh = protected by the enemy or possessed by evil forces. The Dâsa or Dasyu are said to be the individual foes of Indra. Malati J. Shendge says they are Asuras and have individual names such as Pipru (VIII.32.2), Namuci (V.30.7-8), and Sambara (VI.47.21). They are clans; and Indra is called the 'killer of Dasyus' and 'corded up the Dasyus without requiring any rope' (II.13.9); patnîh means possessed by or protected by. adhûnutam = dismantled, overthrow, "shook down together"; dhûnu = shaken, agitated; distressed by heat. sâkamekena = simultaneously by one, one together; "with one united effort"; sâkam - at the same time. karmanâ = by (one) action, by deed. The verse is short concise and to the point. The Sanskrit word puro translated as townships or strongholds, not villages or grass huts. R.L. Kashyap translated puro as cities. So the description is of rather large settlements, not small rural villages. The phrase sâkamekena karmanâ implies that the 90 cities were destroyed by one act simultaneously. Indrâgnî is credited with this deed. So what is the Rishi Vishvâmitra describing? We can conjure up weaponry from science fiction, or we can look at what has actually been discovered in our own times. The mantra III.12.1 begins as an offering of SOMA, which I suggest is plasma. WIKI provides information on electrolasers that are a type of electroshock directed-energy weapon, which use lasers to form an electrically conductive laser-induced plasma channel (LIPC). A familiar form of this is the Taser. A laser is a device that can emit a very intense, narrow, parallel beam of highly monochromatic and coherent light — or other electromagnetic radiation — by using light to stimulate the emission of more light of the same wavelength and phase by excited atoms or molecules [Oxford Dictionary]. Notice that the beam is not limited to light, but may include other electromagnetic radiation. Would not the Sanskrit combination of Indra and Agni as Indrâgnî point to just such a form of energy. Electrolasers use laser-induced plasma channel (LIPC), which is formed when a laser emits a laser beam into the air; the laser beam rapidly heats and ionozes surrounding gases to form plasma [SOMA]. The plasma forms into an electrically conductive plasma channel. "Because a laser-induced plasma channel relies on ionization, gas must exist between the electrolaser weapon and its target. If a laser-beam is intense enough, its electromagnetic field is strong enough to rip electrons off of the air molecules, or whatever has happens to be in between, creating plasma [WIKI]. " Again recall that the root etymology of the Sanskrit word Indra also has the meaning one who tears this (idam) from this (idam), and √dr(i) ‘to tear’. Indra is one who tears the seam (Sîmântam) of the universe. Indra came out of the womb by tearing it. Indra is that which divides or tears. WIKI: A plasma channel is a conductive channel of plasma and forms when a high-powered laser that operates at a certain frequency that will provided enough energy for an atmospheric gas to break into its ion, or form a plasma — such as in a Laser-induced Plasma Channel, for example an electrolaser. Indrâgnî, energy as electromagnetic fire moves forward, advances, rolling on, billowing, streaming, envelopes, surrounds and pervades towards as words of Truth follow the eternal Path. Truth in the Rig Veda is described by the Sanskrit word Rita. 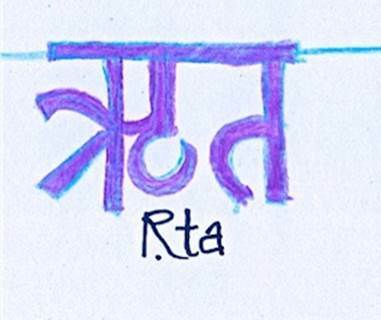 In his book 'Vedic Physics', Keshav Dev Verma defines Rita thus: "Rita is the energy in motion. The entire creation is nothing but the result of the process of transforming Rita into compact form. Such a process of transformation is inherent in its motion. Veda is the book of the said laws of motion and creation." Thus metaphysical laws are the substratum and basis for even the advanced weaponry in the Tretâ Yuga. WIKI: A plasma channel has a low electrical resistance and, once formed, will permit continuous current flow if the energy source that heats up the plasma can be maintained. Unlike a normal electrical conductor, the resistance (and voltage drop) across an unconfined plasma channel decreases with increasing current flow, a property called negative resistance. As a result, an electric spark that initially required a very high voltage to initiate avalanche breakdown within the insulating gas will rapidly evolve into a hot, low-voltage electric arc if the electrical power source can continue to deliver sufficient power to the arc. Plasma channels tend to self constrict (plasma pinch) due to magnetic forces stemming from the current flowing though the plasma. WIKI: The word 'plasma' comes from Greek meaning "anything formed" and it is one of four fundamental states of matter, the others being solid, liquid, and gas. Plasma is the most abundant form of ordinary matter in the Universe, most of which is in the rarefied intergalactic regions, particularly the intracluster medium, and in stars, including our Sun. Considering that the 90 cities were destroyed simultaneously by agitated shaken heat, our exploration of the electrolaser as a possible explanation seems to fall short in the sense that it is a directed beam. What kind of weapon could succeed in obliterating 90 cities simultaneously. Let us investigate the idea of thermoacoustics which have recently been found to be useful in imaging by a process known as photoacoustic spectroscopy, which is the measurement of the effect of absorbed electromagnetic energy (particularly of light) on matter by means of acoustic detection. This was first discoverd in 1880 by Alexander Grahm Bell who found that the absorbed energy from a beam of light caused local heating and through thermal expansion a pressure wave or sound [WIKI]. Photoacoustic spectroscopy is used to study concentrations of gases at the part per billion or even part per trillion levels. By using intense lasers, instead of the sun, the intensity of the sound is increased in proportion to the light intensity. This technique is termed "laser photoacoustic spectroscopy" or "LPAS". The sound signal is also amplified by enclosing the gaseous sample in a cyindrical chamber. Our question is how much sound, meaning the power of sound waves is required to destroy 90 cities simultaneously. Sound propagates as a pressure wave and can be induced into virtually any material, including biologic tissue. This induction into matter occurs whenever time-varying electromagnetic energy is absorbed. Indrâgnî is electromagnetic energy, radiation, electric fire. The stimulating radiation which induces thermally generated acoustic waves into matter may lie anywhere in the electromagnetic spectrum, from high-energy ionizing particles to low-energy radio waves [paraphrased from WIKI]. 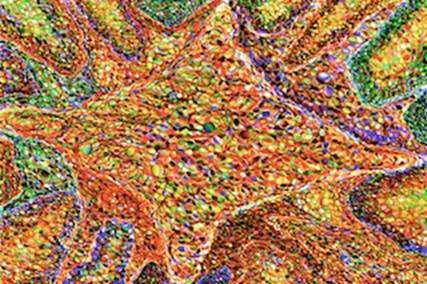 On a small scale and a very pragmatic use is in thermoacoustic imaging which produces three-dimensional thermoacoustic images of biologic tissue and helps us see into our bodies to diagnose disease, etc. The source of the energy is said to typically consist of visible light, near inrared, radiowaves or microwaves. If we consider the process by which thermoacoustic imaging works and expand it exponentially in size, we may get some understanding of a weapon that could destroy 90 cities in one 'deed'. Other waves may exist that we are not currently even aware of and that irradiate even more effectively, perhaps spreading spiraling out all around as the verse in III12.7 says: Indrâgnî, energy as electromagnetic fire moves forward, advances, rolling on, billowing, streaming, envelopes, surrounds and pervades. In thermoacoustic imaging the biological tissue is irradiated by an energy source, which can be absorbed. In our case we are irradiating 90 cities. A massive spectrum of irradiation would be sourced high above the cities in the sky — even unseen invisible to the eye. In thermoacoustic imaging the absorbed energy then is converted into heat, and this increase in temperature of the tissue (or the 90 cities) is raised causing the tissue to expand. This mechanical expansion produces an acoustic wave that propagates outward in all directions from the sight of the energy absorption at the velocity of sound in biologic tissue. The wizardry of sound becoming form is a reoccurring theme in the Rig Veda hymns. This sound is often not to be heard with the human ear, but rather is what is termed anâhata, the 'un-struck' sound in Sanskrit metaphysics. Indian scholars such as R.L. Kashyap assert that in the Rig Veda the Sanskrit word brahma refers to mantra, mantra being a sequence of sounds as Sanskrit words recited at a precisely correct frequency, meaning a rhythm and meter. Brahma was much later personified as the Creator god of the universe. The Sanskrit word BRAHMAJAYAM meaning the wife of Brahma is the Lady of Divine Speech, which correlates with the concepts of the word generating form, VÂC or VÂK in various schools including Kashmir Shaivism. Bhagavad Gita XIV.4: "In all the wombs, forms come to be which of the Brahman, the Great Womb, I (the One) am the seed-sowing father." We think of sound only as what we can perceive through the human ear, one of the five senses; however the Sanskrit teachings have long taught the concept of another kind of sound, the 'un-struck' sound. In September of 2013 space physicist Don Gurnett stated at a NASA press conference that he had heard "the sounds of intersteller space." These were the sounds generated by plasma waves, which contradicted the long held notion that there is no sound in space because without air sound cannot exist. The ancient Rishis who composed the Rig Veda knew space is not silent, and made of plasma [SOMA]. 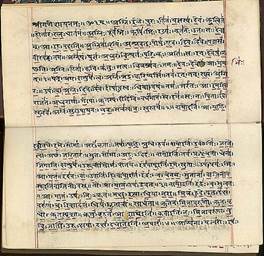 The Rig Veda contains descriptions of their sciences. Plasma waves and sound waves are both waveforms and it is possible to convert one into the other and vice versa. There are literally endless rivers of energy being funneled transmitted through and around our planet. SOMA [plasma] is often described as being found on the mountain, which I say means that SOMA as plasma is accumulated on mountains that are the pyramids located all over this planet Earth. "In the space of Vayu, the stream of wind gushing forth, the one who is contained in the womb [Brahma as mantra sound] occurs in the movement, passage, course of the wind." [III.29.11] Vayu is said to move in a shining car by several teams of 100 or 1000 horses. Whenever I see horses used in the Rig Veda, I interpret it as a metaphor for horsepower or velocity, the power to move anything through space. R.L. Kashyap says that the total number of mantra-verses dedicated to Soma is about 1200, thus we assume its importance to the Rishis. The Rig Veda itself states that Soma is not the intoxicating juice of a plant: "Laymen or ritualists may regard Soma as a creeper to be crushed for getting its juice for use in ritual. But no one can taste that which the wise know to be Soma [X.85.3]." Again I say that Soma is plasma. When I read many of these verses, what I am visualizing is the plasma in space coming from not only our own Sun, the solar wind, etc. — but also plasma from many other sources in our galaxy and beyond. My contention is that the beings who colonized this planet know how to utilize this plasma which is the most abundant source of energy in the universe and transform it into various uses, creative, and when necessary destructive. In ancient times, plasma was collected through the pyramids that are strategically placed around the planet. These ancient technologies are based on and function through primordial metaphysical principles. The Seers who composed the Rig Veda were enlightened. They possessed the Knowledge — and they understood either because they themselves were trained as master scientists, perhaps the Rishi Vishvâmitra; or they observed those who were. Metaphysics is the ultimate science of being and knowing. You cannot travel through space without metaphysics. The advanced beings that came here would not have separated science from metaphysics. Science that is not grounded in primordial metaphysics becomes dangerous, which is the direction I am concerned we are now pursuing with an insane fervor motivated by greed and love of power. Science that is not grounded in primordial metaphysics destroys entire planetary systems. II.29.6: "When churned with arms, this radiant fire bursts forth, shining swiftly moving, powerful bright [Agni fire], luminous in the woodlands, like the richly hued multi-colored chariot of the twins [the two Asvins, the magnetic poles in radiation], unobstructed, un-resisted in its course, it breaks from all sides, spreading wide around, consuming all stones and burning up all vegetation." A wave is defined as a disturbance propagating through a continuous medium, which thus gives rise to a periodic motion of the fluid [Space Physics/MB Kallenrode]. A wave is a disturbance of the medium with a certain speed, amplitude, and frequency. The parameters of the medium are pressure, density, and the electromagnetic field. An undisturbed medium is assumed to be homogenous in pressure, density, and magnetic field. There is a similarity between plasma and sound. Plasma and sound can be interchangeable. Plasma is the most abundant material in the universe. A large variety of waves exist in plasma [Space Physics/MB Kallenrode]. Magnetohydrodynamic Waves: Magnetohydrodynamic waves are low-frequency waves related to the motion of the plasma's ion component. They can be understood intuitively from the concepts of magnetic pressure and magnetic tension. In a magneto-sonic wave, compression of field lines creates a magnetic pressure pulse, which propagates perpendicular to the field in the same way an ordinary pressure pulse propagates through a gas in a sound wave. ...the maximum speed of a disturbance propagating along the magnetic field can be compared with the speed of sound in a gas. Magneto-Sonic Waves: A magneto-sonic wave is similar to a sound wave: it is a longitudinal wave parallel to the magnetic field with alternating regions of compression and rarefaction (rarefied/lessening of density) in both the plasma and in the magnetic field. Ion-Acoustic Waves: Sound waves are pressure waves. They transport momentum from one layer to the next due to collisions between molecules and atoms. Despite its often low-density, in a plasma a similar phenomenon exists. We ask power of the Maruts [the silent particles of sound; radiation pressure] — in every group, in every troop having spotted horses [variegated velocities], who having indestructible wealth are made to shine bright by the fine hymns [sounds], those blazing proclaimings of Agni [cosmic fire]. The wise, bold and persevering men of knowledge discover through effort [yajña as the transference of one energy into another]. I am Agni. Since birth, my first manifestation, I have been the shining omniscient eye [light], immortality is within my mouth [sound]. I am the triple ray nurturing all regions of the universe, perpetually measuring, eternal quantifying, continuously the measurer of the firmament, unceasing illumination. My name is the heat in the oblation. In "Cosmic Plasma" Hannes Alfven has concluded that space in general has a 'cellular structure' based on the "number of interfaces that have been discovered which separate regions of different magnetization, density, temperature, electron velocity distribution, and even chemical composition." He terms these interfaces 'sheets' and states that electric surface currents cause them. There are 'passive' plasma regions that may transmit different kinds of plasma waves and high-energy particles. This kind of plasma fills most of space. 'Active' plasma regions are where "filamentary and sheet currents flow. Since they transfer energy and produce sharp borders between different regions of passive plasmas, they are of decisive importance to the overall behavior of plasma in space." "Plasma Cables are either filaments or 'flattened filaments' (sheets with limited extent), which carry an electric current parallel to the magnetic field, and this is what gives them their properties...often very efficient in transferring electromagnetic power from one region to another...The are 'insulated' from their surroundings by a thin cylindrical electrostatic sheath (or double layer) which reduces the interaction with its exterior." It is not my intention to precisely correlate the science in the Rig Veda with the theories that are being propounded today. I'm simply giving basic ideas that I feel express the metaphysical principles I am finding in the Rig Veda. Consider these hymns in a new light, do your own investigations, and allow the Rishis to speak once again. Keep in mind that the Rig Veda was transmitted orally for perhaps 1000s of years. We do not know the original meaning of the hymns because in my view the words themselves contain multiple meanings on many levels that can best be described a spherical. Which leads to the next consideration. In mathematics, spherical harmonics are a series of special functions defined on the surface of a sphere used to solve some kinds of differential equations. Spherical harmonics are important in many theoretical and practical applications, particularly in the computation of atomic orbital electron configurations, representation of gravitational fields, geoids, and the magnetic fields of planetary bodies and stars, and characterization of the cosmic microwave background radiation. Are the calculations of a form similar to spherical harmonic functions an integral key to using Indrâgnî? Indrâgnî is the energy as electromagnetic fire that moves forward, advances creating sound waves that will flow as the Rig Veda says "rolling on, billowing, streaming, and envelope, surround and pervade towards" the ninety cities possessed by the enemy, the evil forces — and that by one deed Indrâgnî shook down, agitated by heat, and dismantled [Rig Veda III.12.6 &7]. The Rig Veda is endlessly fascinating and I hope I have given you much to contemplate. The verse translations are mine, but totally based on the translations of Indian scholars and Sanskrit dictionaries. I touch their feet in respect and gratitude. 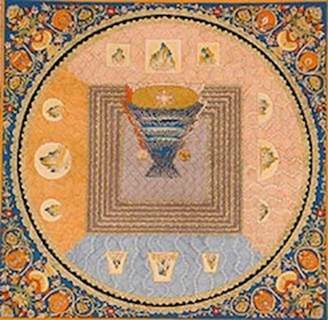 RIG VEDA SAMHITA: Mandala - 3, (Text in Devanagari, Translation and Notes), by R.L. Kashyap; Saksi, Sri Aurobindo Kapali Sastry Institute of Vedic Culture, Bangalore, India, 2007. VISVAMITRA in Vedic & Post Vedic Literature, Edited by B.B. Chaubey; Vishveshvaranand Vishva Bandhu Institute of Sanskrit & Indological Studies, Panjab University, Hoshiarpur, 1987. A Study of Deities of the RIG VEDA, With the help of Science, by S.S. Gupta; Abhinav Publications, New Delhi, 2006. VEDIC PHYSICS, Towards Unification of Quantum Mechanics & General Relativity, by Keshav Dev Verma; Motilal Banarsidass Publishers, Delhi, 1991, 2008. Space Physics, An Introduction to Plasma and Particles in the Heliosphere and the Magnetospheres, by Dr. May-Britt Kallenrode; Springer-Verlag, Berlin Heidelberg, 2010.